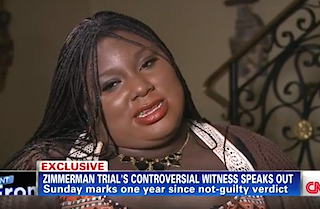 Rachel Jeantel blames herself for letting George Zimmerman walk free and says she wishes she had acted differently on the witness stand. She said the jury didn't take her serious as a witness based on the way she acted on the stand. Since the Zimmerman trial, Jeantel has turned her life around, undergoing intensive tutoring and has graduated from high school (which was a promise she made to Trayvon).